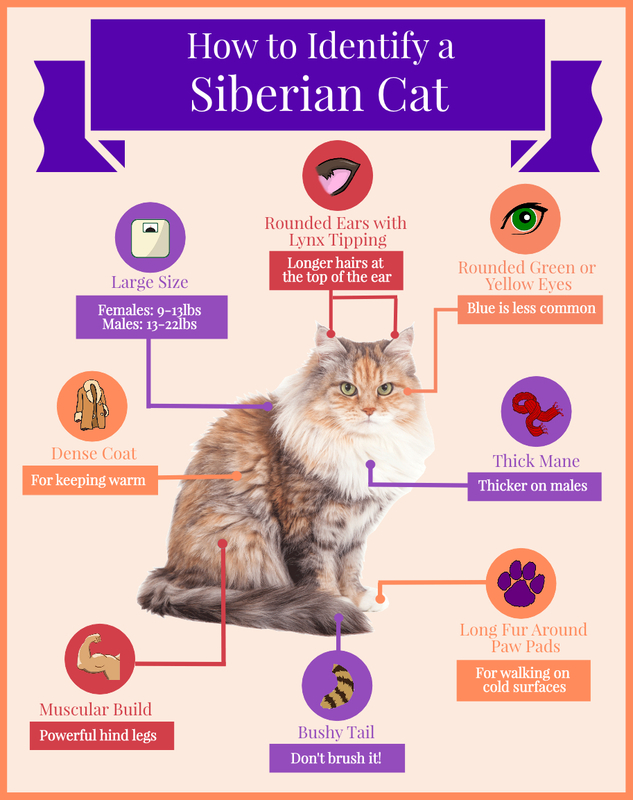 Siberians are well-known for their dense coats which kept them warm in the frigid winters of Siberia. Their coat density changes throughout the year, being thinner in warmer months and growing thicker as the weather gets colder. In particular, they are most quickly identified by their fluffy tails and thick manes, which distinguish them from most other house cats. They also typically have very long fur around their paw pads to keep their paws warm when walking on snow and other cold surfaces. Females typically weigh between 9-13lbs, while the males are usually larger, weighing between 13-22lbs. 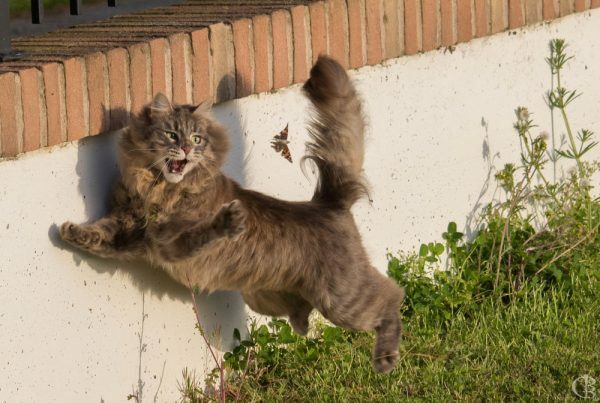 This is probably due to their status as wild predators just a few decades ago before they became domesticated and their decreased surface area to body volume compared to most other cats, which helps hold in heat. 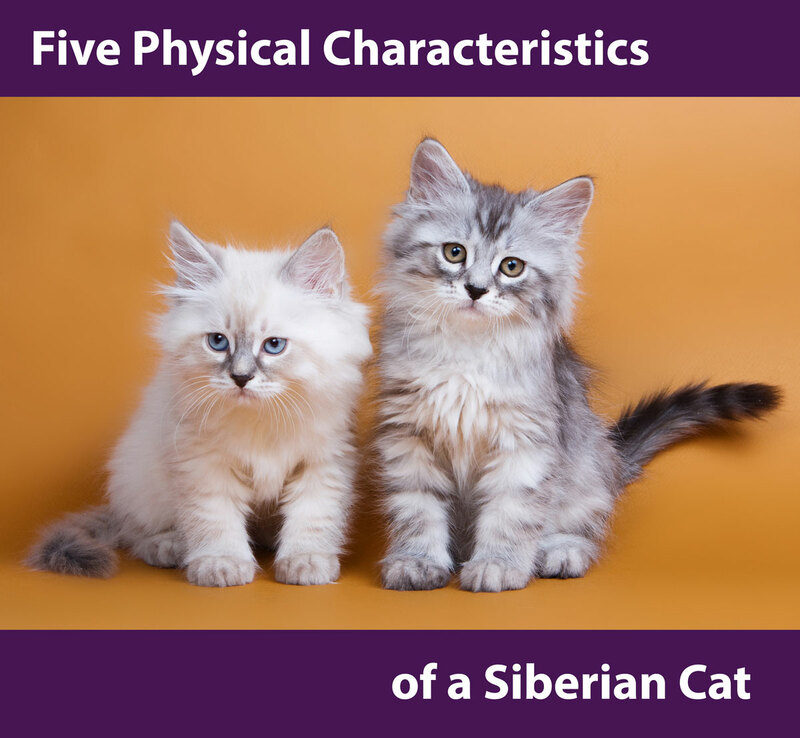 Siberians typically have noticeably round eyes, which are most commonly green or gold. Although blue eyes are possible, they are a lot less common. Some Siberiens may have two different colored eyes. 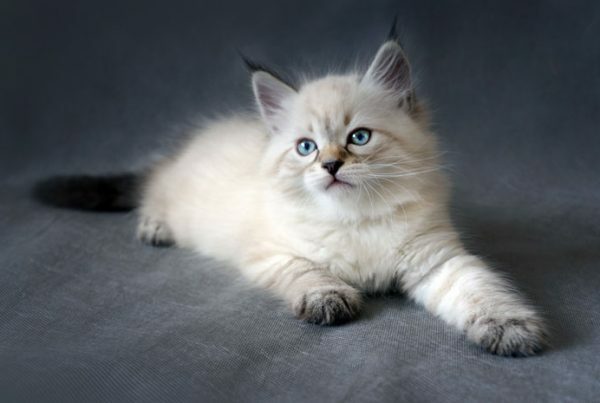 Siberian cat ears will likely be rounded and darken towards the tip. Longer hairs may be present at the tip of the ear, which is referred to as Lynx tipping. 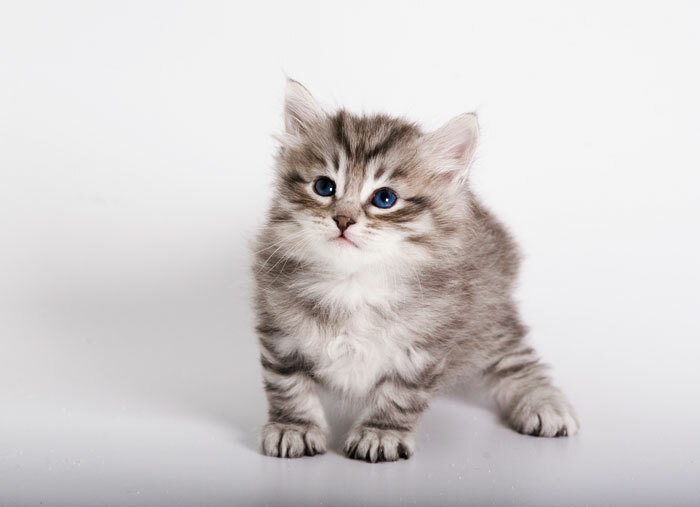 Thick bodies and large paws are common characteristics as well, helping the cat in its predatory pursuits. 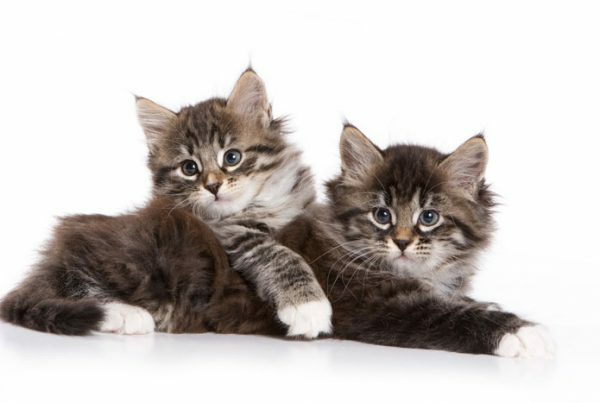 Their rear legs will be slightly larger than their front limbs to aid the cat in jumping to high places.